Over 110,000 Japanese Americans were incarcerated in ten camps from 1942 to 1945, in the largest mass imprisonment of citizens in U.S. history. 12,000 of them resisted the U.S. government’s program of mass incarceration during World War II, were branded as ‘disloyals’, and were sent to the Tule Lake Segregation Center, a militarized camp. This documentary tells their story. 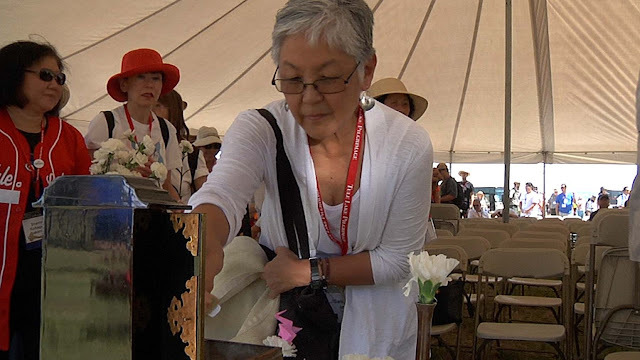 The film starts with a trip the Tule Lake Committee organizes to the site, where among the visitors are relatives of the people who suffered in the camp. Through interviews of actual prisoners and narration, the story of a very dark episode in US history is unraveled. After the bombing of Pearl Harbor, the Japanese living in the US West Coast fell victims to propaganda, hysteria, and ignorance, with the government and the majority of citizens considering them potential enemies of the state, even those who have been born in US soil. A mass “relocation” program was instigated by the government, forcing three generations of Japanese-American to leave their homes and businesses, and to move in Relocation Centers. One of those camps was the one in Tule Lake, where unrest from the “inhabitants” was a common theme from the beginning of the relocation. 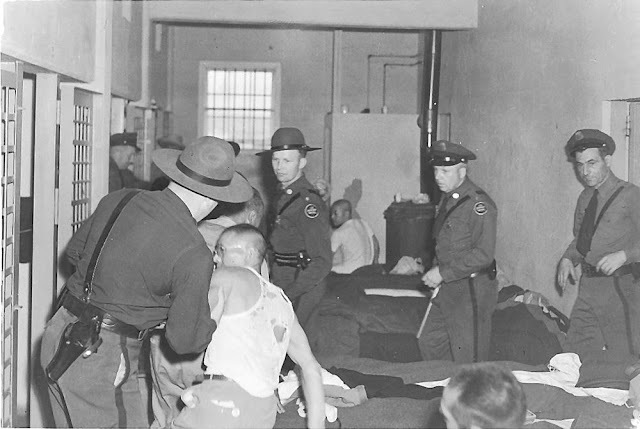 This tension got much worse after the government introduced a program named “registration,” which forced the prisoners to fill out an “Application for Leave Clearance,” that included two questions that resulted in awful consequences. Any negative response in these questions deemed the one completing the questionnaire as a “disloyal”. Eventually, all of the disloyals were sent to Tule Lake, which had the largest percentage of negative answers. By late 1944, Tule Lake had more than 18,000 incarcerees, making it the largest camp population administered by the War Relocation Authority. 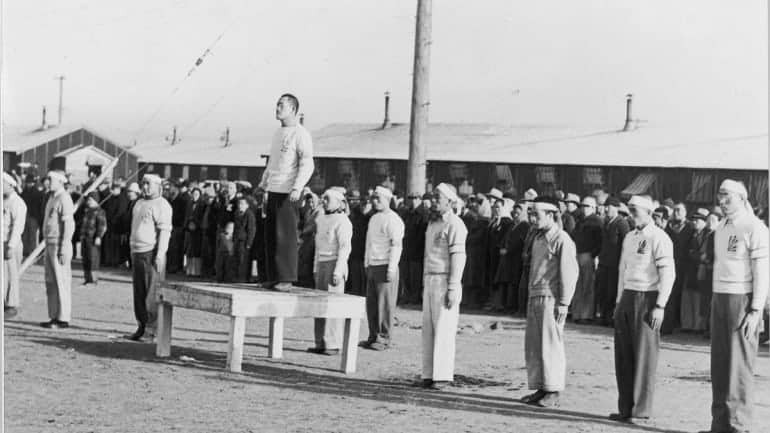 The Japanese in the camp organized and formed a committee, but when their demands for fair treatment were dismissed, they erupted, and the administration decided to call on the US Army, turning the camp into a military one, ruled by martial law. Furthermore, a number of the prisoners were detained into a stockade, where the circumstances were much worse. The events left deep scars to the whole of the Japanese community, that remain until this day. Konrad Aderer does a great job of combining the different footage of the documentary. These include photographs and video of the history of the camp and the Japanese community, interviews with people who were actually there, specialists on the subjects and members of the Tule Lake Committee, segments of TV programs and newspaper clips of the era, and a tour guide in the actual camp, as it is today. The general style of the documentary, with the narration and the subsequent zoom-ins and zoom-outs of the various photographs appearing on screen is somewhat old-fashioned, in a trait, though, that seems to fit the subject perfectly. In that fashion, Aderer manages to present his subject with great detail, and to convey a very important message regarding the incarcerated: that they actually considered themselves Americans, loved their country, and thus, felt completely humiliated and bitter for what happened to them. The fact that they continue to love the US, despite of what the government did to them, is a great testament to the fact. “Resistance at Tule Lake” is a very well-constructed documentary, which highlights a very important, but not so widely known episode in the history of contemporary USA.